It seemed to me (around 1954) that a science of signs might stimulate social criticism, and that Sartre, Brecht, and Saussure could concur in this project. It was a question, in short, of understanding (or of describing) how a society produces stereotypes, i.e., triumphs of artifice, which it then consumes as innate meanings, i.e., triumphs of Nature.... Language worked on by power: that was the object of this first semiology. No, nothing was natural, and no meaning was innate, and so in 1967, a year before the événements in Paris, Barthes methodically proposed the Death of the Author: even the principle of a single source of meaning in a text was a stereotype that needed to be deconstructed. By 1977, his avant-garde fame was total. He had recently published an encoded autobiography, called Roland Barthes; and that spring he would bring out A Lover’s Discourse, his extraordinary analysis of love’s rhetoric. He was sixty-one, and he was a sign himself: the intellect as celebrity—the center of a general barthouze. He was a semiologist, true—but a semiologist who knew about chic: a famously dilettantish cruiser of boys who, a year after his lecture, leaned over the balcony at Le Palace, a newly modish nightclub of eclectic sexual bravura, and in the pages of Vogue Hommes observed that this come-and-go of young bodies reminded him of the “aquatic milieu” at the Opéra as described by his adored Proust. This was the essence of Barthes’s revolution: the assertion that nothing was natural, that even desire had its code. Such dizziness! And yet, Barthes told his student audience in the inaugural lecture that was later published so blandly and ironically as Leçon, his focus since 1954 had changed. He had discovered one place where the “fascism” of meaning could be undone. That free zone was the literary text. In the literary text, with its deliberate interwoven, shimmering network of signs, he had identified forms of resistance to the way language was worked on by power. As 1977 progressed, however, his vita did not seem nuova at all. His first course, called “How to Live Together,” began: the usual round of weekly lectures. In the summer (while taking a small break to play Thackeray in André Téchiné’s film about the Brontë sisters, alongside Isabelle Adjani and Isabelle Huppert), Barthes wrote The Neutral, which would become his second course at the Collège. Yes, it was the usual academic endlessness. And then, that autumn, on October 25, 1977, his mother died. He had lived with her almost his entire life. Barthes had always worked by making small jottings on cards, grouping and re-grouping them. Now he began a new group, which would eventually constitute Mourning Diary—a text that would remain unpublished, and unread, until its appearance in Paris about two years ago. Outwardly, his life still continued according to the ordinary habits: a bleakness of mourning and work. In the spring of 1978 he taught the first part of his course on “The Neutral”: a taxonomy—Silence, Fatigue, the Androgynous—of all the ways it might be possible to invent a form of writing that would not be a form of imposition. (He enacted the Random himself, theatrically plucking each seminar’s topic from a messed-up pile of notes.) In April, the Collège broke for a month. And then, on holiday in Casablanca, there occurred—on April 15, 1978—what Barthes called a moment of satori: an absolute revelation, a “literary conversion.” At this point, wrote Barthes, his real new life began. Both these works which are not quite works—the diary called Mourning Diary and the course notes for The Preparation of the Novel—have now been translated into English. The English-speaking reader can now consider the intimate material and the abstract theory for a third, fantastical object that does not exist: a novel by Roland Barthes. And in the tale of this unwritten book, I think, there emerges a grander narrative: a new idea of the novel. Barthes had said that each course at the Collège would have its origin in a fantasy. His own deep fantasy was now visible, and it was a form of literature. His mother had died, and her death marked an absolute caesura in his life. He would begin a new life, which would be a new way of writing. The master of signs, who had deconstructed the forms of literature so acidly, now wanted to write a novel himself. And its title was obvious. His novel—such hopefulness!—would be called Vita Nova. Even in his early semiological coldness, Barthes had been impish. The structures of power in language were always playfully dismantled. And this dismantling of signs had come with a utopian ideal: to discover a form of language that was not a form of power. This emancipated style had two features. It would allow the individual human subject—more precisely, the individual Parisian subject—to find a way of speaking the full language of his passions, the vocabulary that had been so ironized and dissolved by deconstruction; and it would also be true to Barthes’s definition of “The Neutral”: “every inflection that sidesteps or foils the paradigmatic, oppositional, structure of meaning, and consequently aims for the suspension of the conflictual données of discourse”—refusing the usual ways of creating meaning through opposition. The true utopian form of writing was therefore a combination of these two ideals: language as a form of passionate suspension. And Barthes’s moment of conversion, as he entered his sixties, was to realize that this form was, quite simply, the novel. The novel would be neither affirmation, nor negation, nor interrogation, and yet: a) it speaks, it speaks; b) it addresses, it [calls out] (this is what In Search of Lost Time and War and Peace do to me). As to my idea of the Neutral, I’d say: the Novel is a discourse without arrogance, it doesn’t intimidate me; a discourse that puts no pressure on me—hence my desire to arrive at a discursive practice that puts no pressure on anyone else: preoccupation of the course on the Neutral ’Novel: the writing of the Neutral? With its mirage of fictional selves, the novel would allow Barthes to speak freely, to speak passionately, while avoiding the trap of language’s structures of power. For Barthes was a gorgeous prose stylist. His sentences proceeded through small, delicate blocks—suites of colons and semicolons: a staccato drift, like the movements of a goldfish. In English, his best and most faithful translator has been Richard Howard, who skillfully invented a corresponding English style that could accommodate Barthes’s switchbacks and parentheses, his delight in arcane jargon, in fake Latin definitions. But however indirect Barthes’s style was, it was still a form of pressure on the reader: a web of aphorisms and aperçus. Only the novel, Barthes now thought, offered the possibility of transforming these aphorisms into true ambiguities. To the avant-gardes of the late ’70s, of course, this new love of the novel was crazy. The novel, insofar as it was narration, had been dismantled most thoroughly by Barthes himself in his first book, Writing Degree Zero, which appeared in 1953. There he had explained to the bourgeois reader how the love of narrative, as “a form common to both the Novel and to History,” was the “choice or the expression of a historical moment,” and its goal was clear: “the construction of an autarkic world.” Its grammatical essence was the passé simple, the “factitious time of cosmogonies, myths, Histories and Novels,” and it aimed “at maintaining a hierarchy in the empire of facts”: it represented an outmoded politics, a kind of fascism. After Barthes’s act of dismantling, only the most attenuated fictions had remained: the nouveau roman of Robbe-Grillet and Sarraute and their école—their novels that tried not to be novels at all. But now, twenty years later, Barthes was claiming that the novel wasn’t a code: it was in fact precisely the form that could evade power, and endlessly foil and sidestep the machinations of language’s stereotypes. And so although Barthes says that in this course he will stage his own preparations to write a novel, it will also be possible, he writes, that “the Novel will remain at the level of—or be exhausted by and accomplished by—its Preparation.” Perhaps, he says, the fantasized novel is impossible—which would mean, he argued, that “the labor that’s beginning = the exploration of a grand nostalgic theme. Something lurks in our History: the Death of literature; it’s what roams around us; we have to look that ghost in the face, taking practice as our starting point.” Such hysteria! 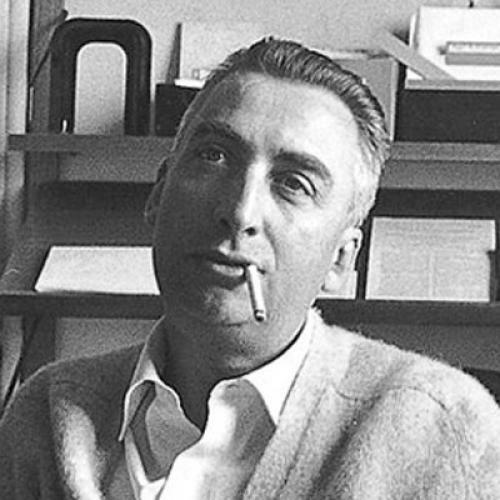 If Roland Barthes fails to write a novel, then it will be only because the novel as a literary form is dead. Yes, there is an infinite procrastination and ambivalence at work in Barthes’s account of the novel—whose causes are occluded and encoded by Barthes—and it is this ambivalence that makes his account so moving, and so valuable. This swerving and evasion is partly intellectual: an embarrassment at his conversion to a seemingly outmoded form. But it is also, I think, more melancholy. The project was prompted by his mother’s death. Its matter was absolute intimacy: the most private souvenirs of his self. But Barthes would not address this privacy. It was unapproachable. Instead, therefore, he digressed—or more precisely, he lectured. He talked about himself by talking about Proust. Barthes’s lecture on In Search of Lost Time, delivered in October 1978, just before his course on the novel began, represented his most revealing attempt to explain what he now wanted to write. Proust, wrote Barthes, knew “that every incident in life can give rise either to a commentary (an interpretation), or to a fabulation.” Like Barthes, Proust was caught between the essay and the novel. His solution to this impasse had been to invent a third form: neither essay nor novel, but an amalgam of the two. And the nucleus of this form was a mobile ambiguity: an “I” who was only an effect of writing, who only incompletely overlaps with the “I” of Marcel Proust. This “I” allowed Proust to relax the borders of the essay and the novel. And yet, paradoxically, the success of Proust’s invention led to readers becoming gripped by what Barthes calls “Marcellisme”: an anxious desire to identify the banal biographical facts of Proust’s mondain life. a means to vanquish Death: not his own, but the death of loved ones; a way of bearing witness for them, of perpetuating them by drawing them out of non-Memory. But then, once again, as his lecture comes to an end, Barthes swerves away. Perhaps, he says, he does not even want to write a novel. Perhaps it will not be possible to call the work he desires, which will break with the uniformly intellectual nature of his past writing, a novel. He only knows that he will proceed “as if” he is writing a novel: with the hypothesis of writing a novel. This was Barthes’s strange project, as 1978 ended: a novel that would be begun not in private, but as a hypothesis, to be investigated through the medium of the seminar. At the same time Barthes also wrote a series of small essays and journal entries. As his course on the novel began, he started a weekly miniature column in Le Nouvel Observateur that lasted until the following March: a journal of his everyday. The first part of The Preparation of the Novel ended that month. On vacation in 1979, Barthes then wrote very quickly—between April 15 and June 3—Camera Lucida, his book on photography that was really an essay on death. And then, finally, that summer, he made sketches for his possible novel: Vita Nova. Between the novel, the journal, and the photograph: this is the network of Barthes’s investigations in the years after his mother had died. Later that summer he tried a new experiment with the journal intime, called Soirées de Paris. It ended two days after the final entry in another journal: his Mourning Diary. That winter, he published a text called “Deliberation,” on the aesthetic problems of the journal as a form. And meanwhile, throughout October, he worked on the second part of The Preparation of the Novel, which he taught that winter. Camera Lucida came out early in 1980. He wrote an essay on Stendhal—“One never manages to talk about the things one loves”—and made notes for the seminar that would accompany the second part of his course on “The Preparation of the Novel”: on Paul Nadar’s photo-portraits of Proust’s circle. And then, on February 25, 1980, Barthes was hit by a laundry van as he left the Collège. A month later, on March 26, he died. He was sixty-four. - You have never known a Woman’s body! - I have known the body of my mother, sick and then dying. It is the last entry in the Mourning Diary, before he began Camera Lucida. But the book about maman is not Camera Lucida, since in Camera Lucida he notes how the monument is still to be written: “what I wanted—as Valéry wanted, after his mother’s death—was ‘to write a little compilation about her, just for myself’ (perhaps I shall write it one day, so that, printed, her memory will last at least the time of my own notoriety).” It implies, in fact, that the true book on his mother will be a novel—in the same way as he had argued that Proust’s novel was a monument for his own mother. Constantly recurring, the painful point: the words she spoke to me in the breath of her agony, the abstract and infernal crux of pain that overwhelms me (“My R, my R”—“I’m here”—“You’re not comfortable there”). This souvenir of his mother’s essential gentleness—“My R, my R”—comes back to him throughout the following year; and in July he adds, in parenthesis: “(I’ve never been able to tell this to anyone. )” Until finally, in December 1978, there is this painful, occluded word game of the unconscious: “I am writing my course and manage to write My Novel. And then I think with a certain laceration of one of maman’s last utterances: Mon Roland! Mon Roland! I feel like crying.” In English, the association is only a ghost, but in French the link is clearer: mon roman, mon Roland. The central photograph discussed in Camera Lucida is a picture of his mother as a young girl in the Winter Garden of her family home—a photo that he discovered in June 1978, as he began to sort through his mother’s belongings. From this photo, wrote Barthes, floats “an essence of the Photograph.” And when he tries to describe why this photograph moves him so much, he returns to the time when he nursed his mother through her final illness: “I nursed her, held the bowl of tea she liked because it was easier to drink from than from a cup; she had become my little girl, uniting for me with that essential child she was in her first photograph.” But even as Barthes goes on to play with the reversals of the unconscious—“I, who had not procreated, I had, in her very illness, engendered my mother”—it is now apparent that this is not the true meaning of his mother for Barthes. The truth is more piercing, and more conventional. It is in that cry occluded from Camera Lucida—“Mon R, mon R”—which proves, with an infinite pathos, that even in her illness, even when reduced to his imaginary daughter, she was still the mother who cared for her son. The deep perception of Camera Lucida was that a photograph, which transformed a subject into an object, was a form of death. And, reading the Mourning Diary, it becomes obvious that this is also an approximate definition of the novel. Every novel is a machine where the novelist turns himself into an object: a novel is a form of self-immolation. This kind of self-erasure is not for everyone—and it was not for Barthes: but it was Barthes who, in his melancholy, fragile sidesteps around the idea of the novel, revealed the complicated essence of the novel as a form: the narcissistic, cannibalistic, messy art of fiction—a contraption for producing, or re-staging, the most private and most luminous moments of truth. In 1968, Barthes had famously invented the term “the reality-effect” to expose the function of detail in the art of prose. Details that were “reputed to denote the real directly,” Barthes declared, in fact do nothing other than signify “the category of the ‘real.’” Now, more than a decade later, he silently and massively altered his definition of this effect. “By ‘effect of the real,’” he told his class, “I mean: language fading into the background, to be supplanted by a certainty of reality: language turning in on itself, burying itself and disappearing, leaving bare what it says.” Now, it led not to the statement of a code, but to the statement of a truth. It is here, I think, that Barthes reaches toward a new idea of the novel, which would be true to this strange ability to create signs that function as truths. But instead of trying to analyze how such moments of truth will be arranged in a novel’s composition, he simply concludes, at the end of the first part of his course, that these moments will just be “scattered” within the fabric of a novel. A novel, he argues, “would start out from ... the point at which truth and falsehood mingle without warning.” And maybe this, he wonders, is why he is still unable to write a novel: he has a moral resistance (such primness!) to this mixing of fiction and truth. It is true, of course, that the novel is a genre that isn’t quite a genre. But Barthes’s sketch ignores how much the novel’s formal fluidity is conditioned by its content—the mess of the world that it tries to represent. Barthes, by contrast, doesn’t think it is possible to talk about content. No, he says, he prefers to talk about form: “It’s not clear that it’s Content that’s fantasized, that is to say planned out in accordance with Desire.” Instead, he concludes, “‘content’ (the subject matter, the quaestio) is probably not, or at least not initially, a poetic category (poïetic: from ‘Making’), it’s a ‘Meta’ category: category for the critics, the professors, the theoreticians.” But as I consider these two statements, I remember a much subtler comment by de Kooning: “Content is a glimpse of something, an encounter like a flash. It’s very tiny—very tiny, content.” For content is not a theoretical concept at all: content is pure practice. It is very tiny, but it isn’t nothing—it is the contraption that produces the novel’s elastically signifying forms. But Barthes was in flight from content. He was in an ecstasy of privacy. And so he turned to the second of his tests-patience: the daily prose of composition. And this, oddly, is the loveliest section of Barthes’s course. Although it represents a deep avoidance of the true test he had set himself—to simulate what it might be like to begin a work: no novelist begins a novel by analyzing how it might be necessary to keep to a timetable—in this digression Barthes shows that style is everything, after all. It encompasses the tribulations internal to the work itself—the draftings, the breakdowns and boredoms, the typing and penning; and also all the apparent ongoing trivialities, such as diets, or phone calls, or answering one’s mail. They represent, as Barthes beautifully shows, the self-consciously self-deceiving egoism necessary to sequester oneself from the world, in pursuit of a fantasy novel. If he hadn’t died, Barthes was going to give a seminar on photoportraits by Paul Nadar, the mythologist of Paris’s haute bourgeoisie at the end of the nineteenth century. Nadar’s photographs form a record of Proust’s circle, and therefore a record of the scattered models for the characters in Proust’s novel. His seminar, wrote Barthes in his drafted introductory notes, would therefore be for Marcellistes—to leaf through a portfolio of these photographs, to become “intoxicated by a world,” and to observe the sociological facts which form the basis of the “greatest of paradoxes”— that “the greatest work of the twentieth century should have emerged from (should have been determined by) what in other circumstances can be the lowest, the least noble of sentiments: the desire for social advancement.” These photos will complicate the dream of the Marcelliste—the dream of knowing the precise models for Proust’s characters. For these photos will embarrass their characters, who are often so much more elegant than their models, and they will also disappoint the reader, who will be sad to see how much less luxurious is, say, the Comtesse de Chévigné, in comparison to the Duchesse de Guermantes. Barthes saw this seminar, therefore, as about the reader. But I am not so sure. These photos, dense with ugly social striving, with problems of the model and the copy, are really about the novelist. These photos are Proust’s content. They represent the everyday of Proust’s life; and they show the people he loved—transformed into photographic objects, just as he, too, turned them into objects, with the linguistic instrument that he invented. A camera, wrote Barthes, beautifully and famously, in Camera Lucida, was once a clock for seeing; but this is also a description of Proust’s novel: a visionary clock made of words. Earlier in the book Barthes had stated that a photo has two aspects. There was the studium: the general cultural interest, the period detail. And there was the punctum: an “element which rises from the scene, shoots out of it like an arrow, and pierces me.” Another term for this detail, of course, is “reality-effect”: it is this kind of detail—whether as the punctum of a photo or the reality-effect of a novel—that convinces the reader, or the viewer, that a sign is not just accurate, but also true. The realists, of whom I am one ... do not take the photograph for a “copy” of reality, but for an emanation of past reality: a magic, not an art. To ask whether a photograph is analogical or coded is not a good means of analysis. The important thing is that the photograph possesses an evidential force, and that its testimony bears not on the object but on time. Neither falsely encoded nor falsely natural: this is the paradoxical basis on which the real art of the novel is based. And so the old and ordinary categories of show and tell, or essay and fiction, are inadequate. No, the real opposition is between a reality effect that only signifies a general category of the real and a reality effect where the object occludes its signs, where an art is also a magic. This was Barthes’s discovery, through his digressions around a novel called Vita Nova, and his subsequent rethinking of the nature of detail: the melancholy moment of truth—like the private, unrepeatable words of his dying mother. Proust speaks of suffering, not mourning (a new, psychoanalytic word, one that distorts). The feelings of the essayist had been anticipated by the novelist’s dense weave of concrete accuracies. Adam Thirlwell is the author, most recently, of The Escape (Farrar, Straus and Giroux). This article ran in the December 30, 2010, issue of the magazine.